Hawaii is so much more than just a tropical paradise for people looking for the vacation of a lifetime. It's also a treasure trove of scientific information, thanks to its volcanic nature. All the islands in the Hawaiian archipelago are actually formed from the lava that volcanoes have spewed out in the past as the archipelago is positioned on top of a hot spot in the middle of the Pacific Ocean. As tectonic plates shifted, the lava that flowed out and broke to the surface eventually became the islands of Hawaii. Currently, the hotspot vent is directly under the Big Island. However, volcanic activity in the island-state of Hawaii hasn't ceased entirely and in fact, there are volcanoes that are continuously erupting. This continuous eruption may spell disaster and the end for some but is actually a process of giving birth to newer areas and even islands to Hawaii. Though all of the islands have pretty much the same origins, the geography and topography of each differ a lot. Here's a look on how each major isle in the Hawaiian archipelago came to be and what you can expect from these now. The biggest island in the chain, Hawaii can be likened to one massive volcano, though there are four major smoke and lava stacks on it. Despite its size, the Big Island is actually the youngest island in the group, and being the youngest, it still continuous to grow far and wide thanks to the active and currently erupting volcanoes on it. The volcanoes on the Big Island can best be observed when paying a visit to the Hawaii Volcanoes National Park. The biggest volcano on the island is the Mauna Loa or Long Mountain in Hawaiian as it encompasses more than half of the Big Island. Despite its big size, one can still have difficulty in finding it as its slopes flare out instead of sloping steeply, a characteristic that can be attributed to shield volcanoes. Just beside the Mauna Loa is the Kilauea volcano, currently one of the most active shield volcanoes in the whole world and has attributed approximately 600 acres of new land since 1983. Mauna Kea, the tallest mountain in the world--if measured from below sea level--can also be found on the Big Island. The Mauna Kea has made it possible for Hawaiians to enjoy snow even when in a tropical island. Called the "white mountain" because of the presence of snow on its slopes and peaks, the Mauna Kea is tall enough for its summit to reach temperatures conducive for snow. However, if the Mauna Kea hadn't erupted and exploded more than a thousand years ago, it would be much taller than it is today. Hualalai, a veritable peak on the Big Island, is also a volcano that has lain dormant for many years as the hotspot vent is no longer beneath it. Another volcano, though an undersea one, is also continuously erupting just off the coast of the Big Island. If Loihi continues to spew lava for the next 50,000 years or so, a new island or a larger Big Island can be formed. The varied surfaces on the Big Island has given its regions differing climate despite the fact that these are in just one location. Coming in at second largest is the Valley Island of Maui. Here, lush rainforests and mountains are within easy access to locals and visitors via car. Volcanic eruptions in the very distant past have made the soil in Maui very fertile and suitable for plant growth and as a result, verdant forests and mountainsides abound on this island. Haleakala mountain is also a dormant volcano on Maui. One landmark of particular geologic interest is the Dragon's Teeth along the coastline. As lava from the West Maui volcano flowed out into the open sea, wind and strong waves pushed it back, resulting to sharp and curved spires that look like teeth from a giant monster. Down near the Hana Highway is a holy place for ancient Hawaiians completely made out of lava rock. The Pi'ilanihale Heiau is a place of worship the size of two football fields and was only discovered in the 1970s, as it was covered and perfectly preserved by undergrowth. Known as an island wherein ancient and modern worlds collide, Oahu definitely has a unique geography and topography. Volcanic eruptions in the more recent geological past of the island formed the famous Diamond Head landmark of Oahu, as well as the Koko Head and the Punchbowl crater. Oahu stands out from among the other islands as it has an almost asymmetrical land form in the shape of a butterfly, thanks to the volcanoes on each side of the island. Though distinct from each, the edges of these volcanoes somehow overlapped. Oahu's flat Leilehua Plateau is cradled by two mountain ranges, which now dominate the sides of this island – the Waianae Range and the Koolau Range. This island was the witness to the first signs of civilization in the Hawaiian archipelago. Due to the existence of a natural harbor, this land was chosen by the Hawaiian royalty as a place to settle in. Thus, this area was enriched and developed. Today, the third largest in Hawaii serves as the financial capital, with the state's capital Honolulu located within its territory. The most fertile island in the chain is also the oldest in Hawaii as Kauai was the first island to surface from the lava coming from the hotspot vent. Its location also proved advantageous as trade winds often passed over the island, bringing with it the much-needed water for plant life to flourish. However, Kauai can also be considered as the wettest island in Hawaii as it receives an annual rainfall of almost 55 feet. Nonetheless, there are many natural formations and wonders that tourists can definitely enjoy viewing and visiting. One of the famous natural landmarks that are results of volcanic activity is the Na Pali Coastline on the northwest side of the island, which has colossal natural spires and cliffs that were used as the backdrop for the movie Jurassic Park. In the southwest, visitors can marvel at what is dubbed as the "Grand Canyon of the Pacific." Stretching for as long as 7.5 square kilometers and with a play of warm hues, the Waimea Canyon certainly rivals the Grand Canyon in Arizona. Since Kauai has volcanic origins, its tallest point, the Kawaikini, and the second highest peak in the island, Mount Waialeale, are dormant volcanoes. The sixth largest island in the Hawaiian chain is Lanai. It also has a volcano on it though it has long been deemed dormant. The topography of the area is varied, though more arid and dryer than other islands such as Kauai. Some scientists believe that Lanai was once joined to Maui and Molokai but erosion and eventual rising sea levels separated the islands over millions of years. One of the natural wonders of Lanai is the Garden of the Gods, a barren area full of rock formations and red dirt reminiscent of the landscape in Mars. Having an area of 261 square miles, Molokai is the fifth largest island in the archipelago. Pristine beaches and spectacular sea cliffs compose the island's 88-mile coastline. According to a study of its lava flows, the island is about 1.3 to 1.8 million years old. Just like all the other islands in the Hawaiian archipelago, Molokai is also composed of volcanoes. Molokai was a result of the clashing of two volcanoes millions of years ago. Today, East Molokai and West Molokai are considered the main land formations in this island. Aside from its volcanic origins, the island of Molokai is also known for its breathtaking sea cliffs that is considered to be among the highest in the world. Because of the beauty of these sea cliffs, they have actually been in the spotlight, having been used as a backdrop for the movie Jurassic Park 3. Considered as the smallest of the major islands of Hawaii, Kahoolawe has no known permanent residents despite previous efforts to raise cattle and agriculture in the area in the early 1800s due to the lack of freshwater and the arid nature of the land. Kahoolawe's highest point is the Lua Makika crater at the summit of the Pu'u Moaulanui. 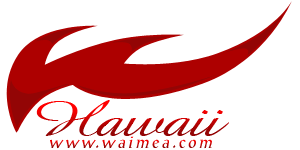 The US Government has only granted access to the island for native Hawaiian cultural, spiritual, and subsistence purposes, as well as for fishing, historic preservation, environmental conservation, and education. Niihau is the smallest of the inhabited islands in the Hawaiian archipelago. But before you plan a trip to this island, keep in mind that commercial tourists are generally not allowed to set foot on it as it is privately owned by the Robinson family. Only relatives, US Navy personnel, and government officials are allowed to visit as long as they receive permission from the owners. The island has one dormant volcano, with its last eruption eroding into the ocean. Niihau is not the oldest of the islands but is purported to have been formed shortly after Kauai surfaced. There are approximately 160 inhabitants in the island as of 2000. Niihau is the only island in which the Hawaiian dialect is still primarily used.